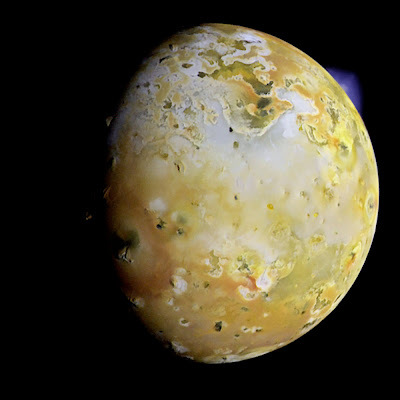 This is one of the the last views of Io taken during the Galileo mission. It is nominally one of the highest resolution global views, although noise and an increasingly unsteady spacecraft conspired to degrade it considerably. The plume, visible in the upper right, is artificially brightened.